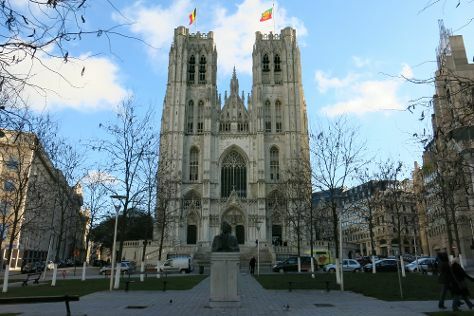 On the 7th (Fri), take in the spiritual surroundings of St. Michael and St. Gudula Cathedral (Cathedrale St-Michel et Ste-Gudule). Get ready for a full day of sightseeing on the next day: see the interesting displays at MIM - Musical Instruments Museum, then steep yourself in history at Grand Place, then wander the streets of Lower Town, and finally browse the different shops at Les Galeries Royales Saint-Hubert. To find photos, where to stay, traveler tips, and tourist information, you can read our Brussels trip planner. If you are flying in from Egypt, the closest major airports are Brussels Airport, Antwerp International Airport (Deurne), Brussels South Charleroi Airport and Liège Airport. In June, daytime highs in Brussels are 23°C, while nighttime lows are 12°C. You'll have a few hours on the 9th (Sun) to wrap things up before traveling home.